Starfleet Command orders the Enterprise to the planet Nimbus III where a group of humans, Klingons and Romulans are taken hostage. As soon they set out they soon discover that their ship is being pursued by a Klingon Warship Klaa whose Captain is determined to destroy the infamous Captain Kirk for personal glory. When they arrive at Nimbus III the crew is shocked to discover that the individual orchestrating the hostage is a renegade Vulcan named Sybok. 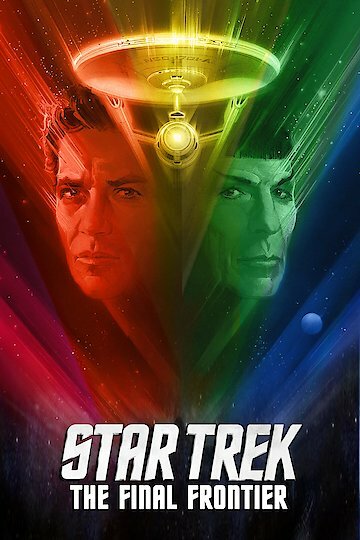 Star Trek V: The Final Frontier is currently available to watch free on Tubi TV and stream, download, buy on demand at Amazon Prime, Amazon, Vudu, Google Play, FandangoNow, iTunes, YouTube VOD online.